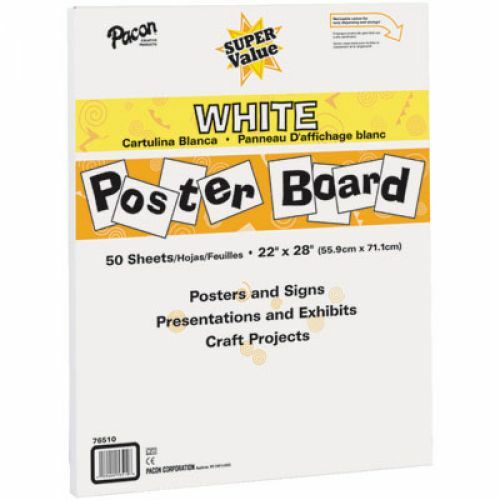 Catalog Home > Super Value Poster Board, White, 22" x 28", 50 sheets"
Super Value Poster Board, White, 22" x 28", 50 sheets"
50 sheets of White economy poster board in a reclosable carton for easy storage. 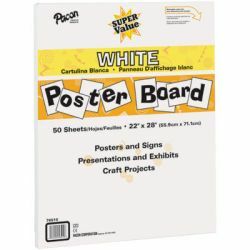 A great value for all types of classroom projects. 22" x 28". 50 sheets per pack. Recyclable.